The grizzly bear must store up to one million calories to survive through winter hibernation. As a result, this mammal's waking life revolves around food. Grizzly bears need to build significant fat reserves in order to survive winter hibernation. 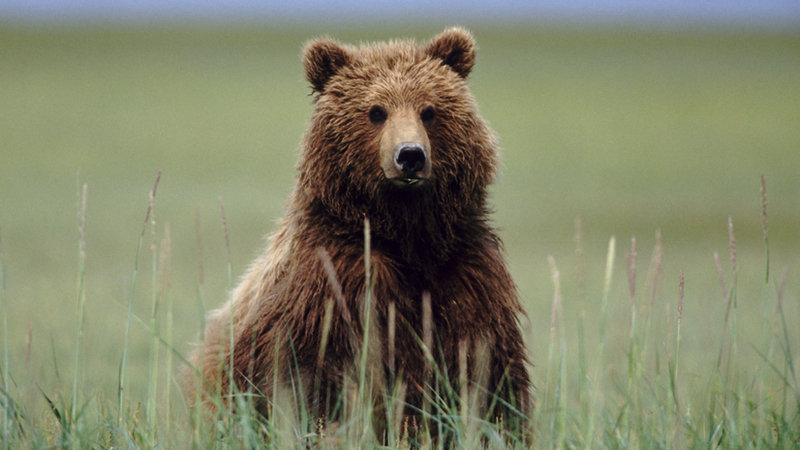 Grizzly bears are omnivores and eat anything from roots and grass to insects and clams. The most important source of calories for grizzly bears is salmon. A grizzly bear can consume a dozen salmon in one day. The first sign of spring, after the long winter months of hibernation, it's feeding time for North America's grizzly bears. Bears need to build up significant fat reserves in order to survive their winter hibernation. So, for the coming months there's only one thing on their minds. Food!